Three units of Girlguiding IW which support the same church hall in Newport, recently held an entertainment and sale evening. 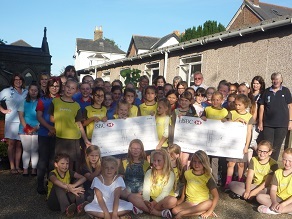 Over the past year since the three units, Carisbrooke Rangers, 10th Newport Brownies and 11th Newport Guides, have supported St. John’s Church Hall they have held several special events to raise funds for the Church’s 20-20 Vision Project. Recently they held another event, this time not only for 20-20 Vision but for the local Kissy Puppy charity too. After learning of Kissy Puppy all the Brownies decided to support this charity so the Guides and Rangers joined in as well. 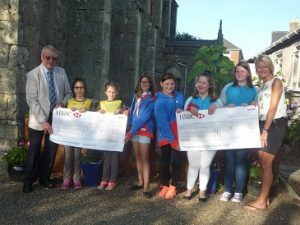 At a presentation of the cheques which were given to John Matthews, Chair of St. John’s 20-20 Vision and Gemma Blamire founder of Kissy Puppy, John Matthews thanked all the members of Girlguiding IW for supporting the charities. Each cheque was for £139.40. John also said how the young people of Girlguiding had enhanced the church’s activities as well as helping in a practical way by looking after the garden space between the hall and the main building of the church and brightening up the hall with displays of their work. 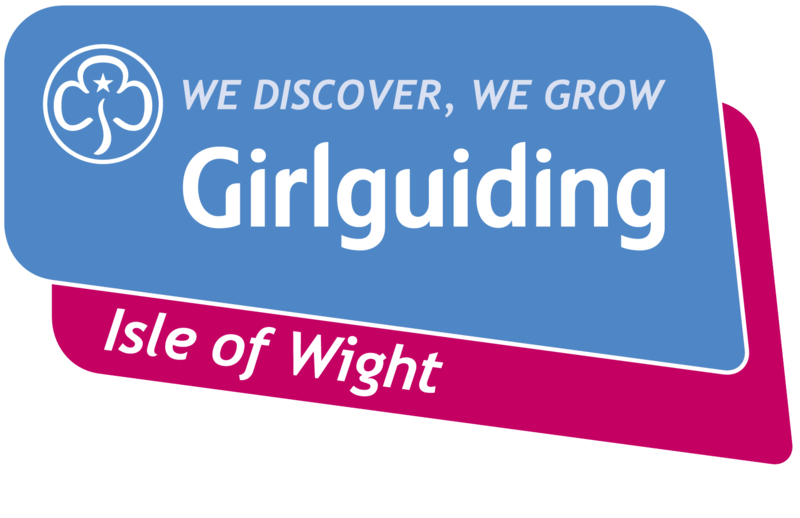 Back in May the three Girlguiding Units won a second- place award from Community Action IW for the work they had undertaken with the 20-20 Vision project and with this latest work for the community it shows that the young people’s commitment is on -going.